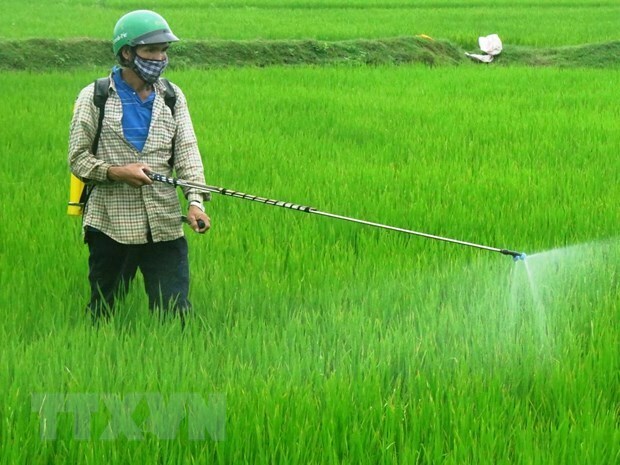 Hanoi (VNA) - The Ministry of Agriculture and Rural Development (MARD) on April 10 decided to ban the use of glyphosate, an active ingredient in many weed controls. The MARD’s Plant Protection Department said the ban was made in line with Vietnamese laws and international regulations as well as with the country’s socio-economic conditions. Glyphosate has been widely used worldwide for its high efficiency in weed controls over 40 years. In Vietnam, the ingredient was registered for use in 1994 and since then, 104 commercial products containing glyphosate have been registered.